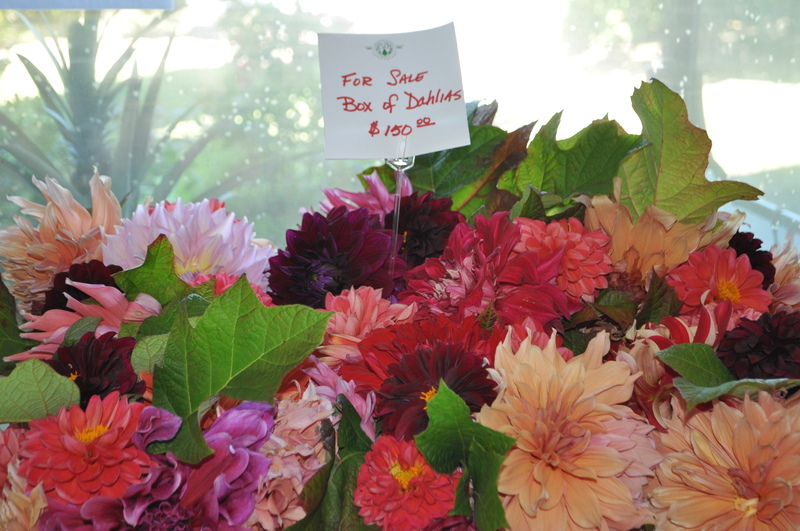 I want to show you some dahlias, and then I must dash…. dear son from Santa Fe is arriving, and even the dahlias can’t steal a moment of my time once he arrives. 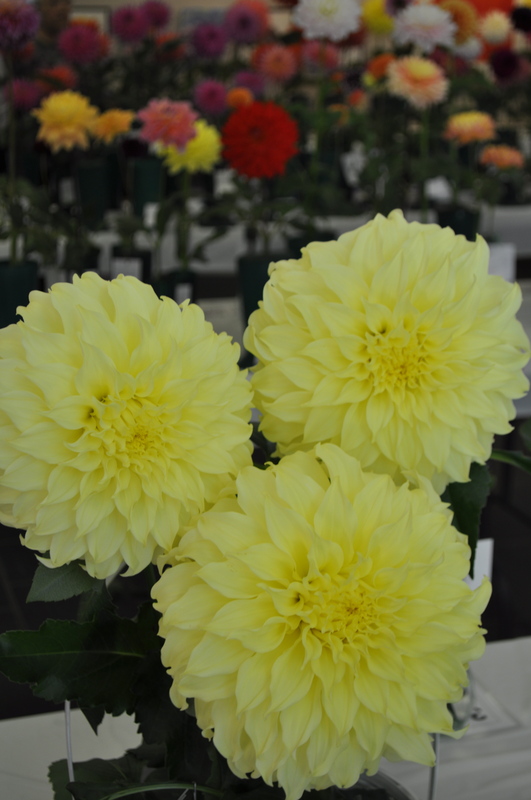 Until he arrives, let me show you a few pictures taken at the Greenwich Dahlia show today! There were masses of dahlias! Imagine the effort to produce THREE perfect specimens of one variety! I found it difficult to find just one per category. Of the dozens of dahlias I grow, I had only four that I felt were worthy, but they held their heads high and did well with the Judges! Growers from all around the region came with their perfect specimens; it was a joy to view so many different types. 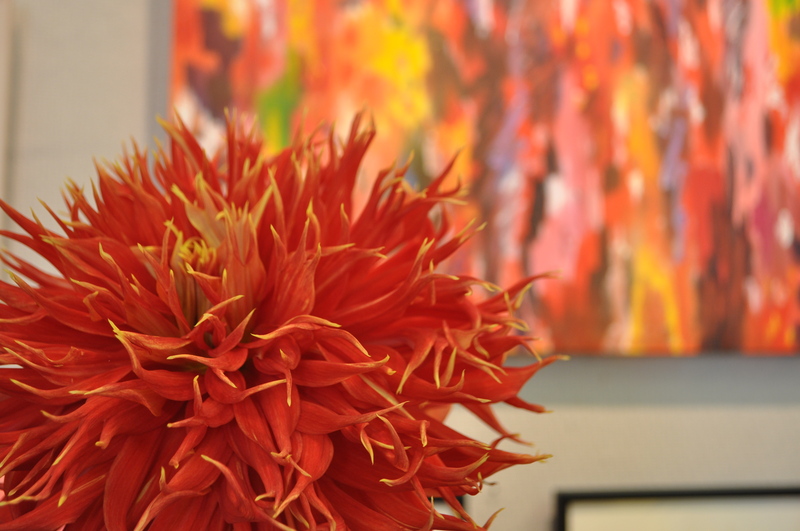 Set against the background of a lovely art show, the colors of the dahlias played with the paintings and art work in a wonderful way! 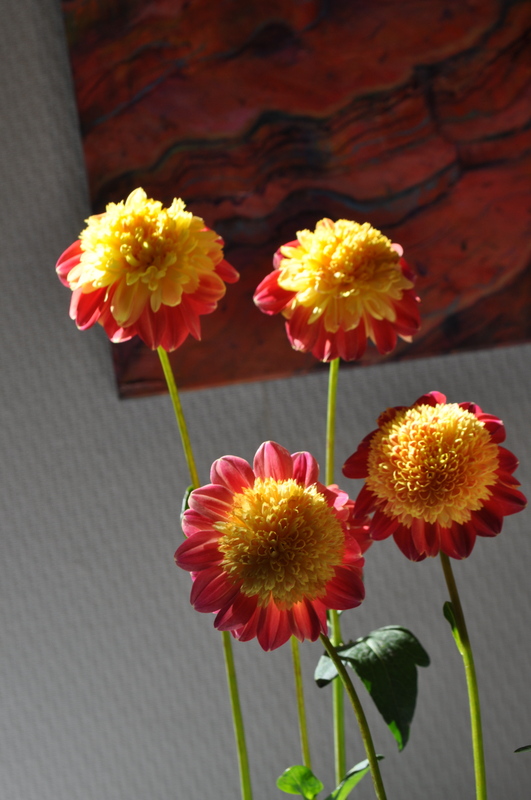 While I get ready for quality family time, I wish you days and days of dazzling dahlias….. 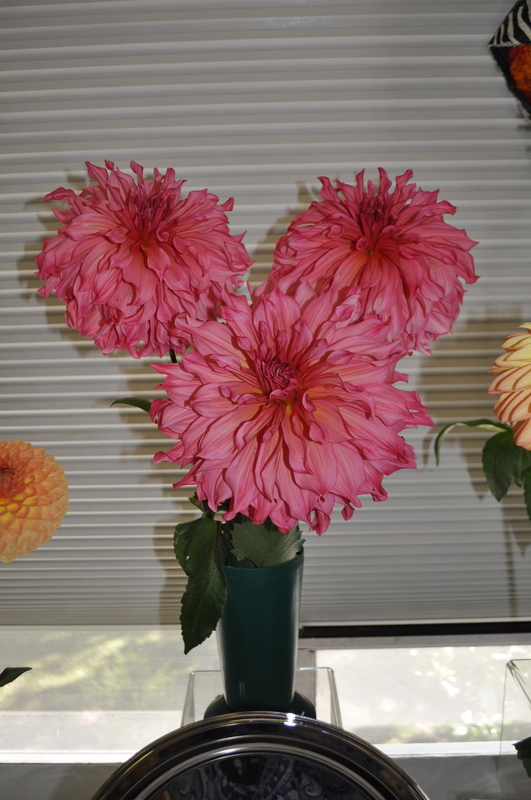 This entry was posted in Uncategorized and tagged Dahlia show, dahlias, Greenwich Dahlia Society. Bookmark the permalink. Beautiful bevy of blossoms. The collarettes look incredible. Mine didn’t come up. Planted too early and rotted. Wait to June next year. Love the pom pom ‘Crossfield Ebony’. Missing it. 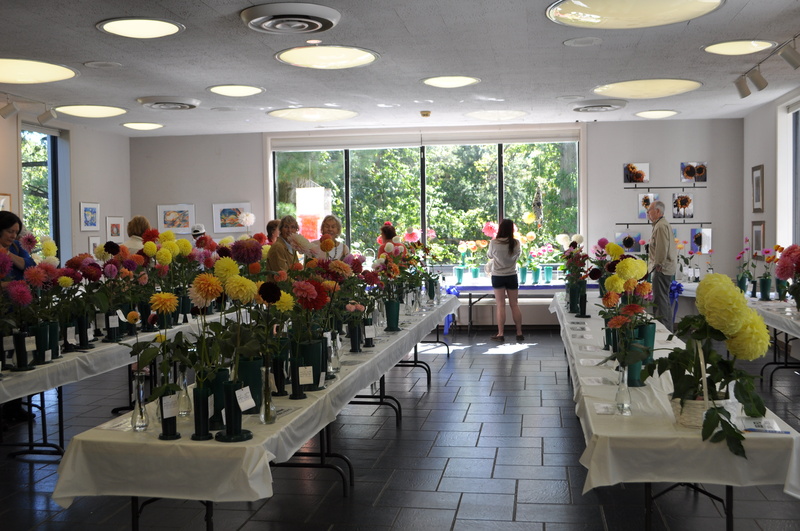 What a wonderful showing of beautiful dahlias! I love seeing dahlias, because each one is so unique and individual. Enjoy those precious moments with your son. SO pretty, unfortunately they have my mother-in-law’s name and their beauty is a bit marred for me… but they are lovely. 🙂 The fourth photograph from the top down with the orange flower and the painting in the background is GORGEOUS. SO gorgeous! 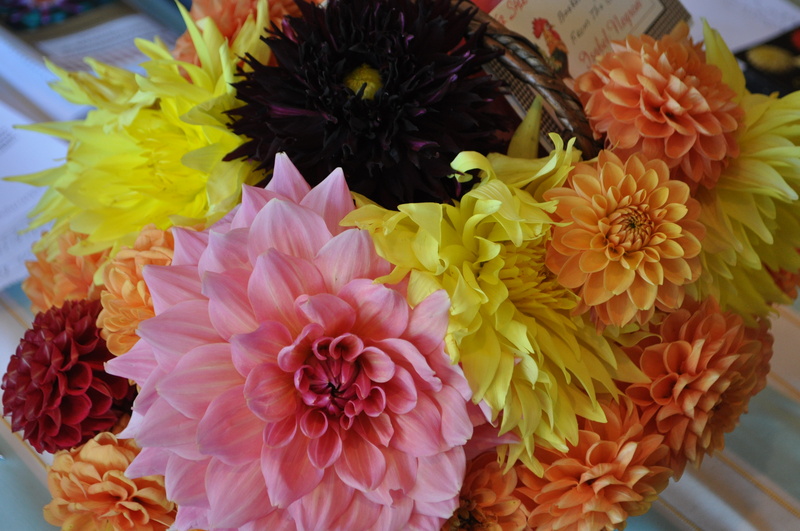 I love the fresh bright colors…great post on beautiful dahlias.